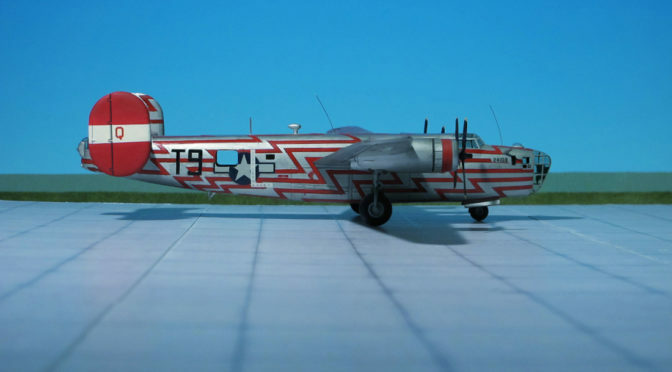 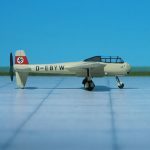 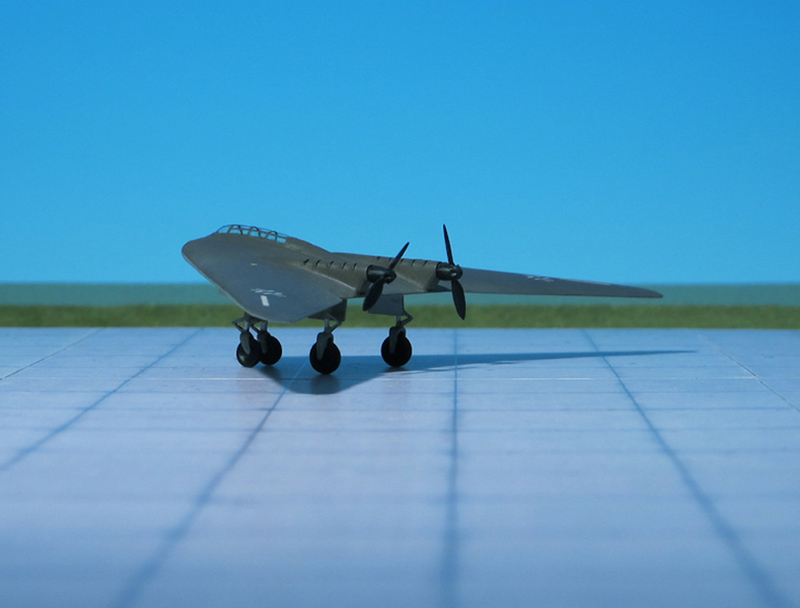 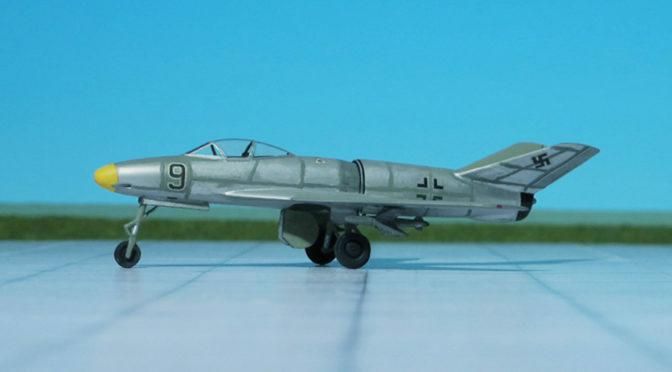 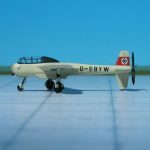 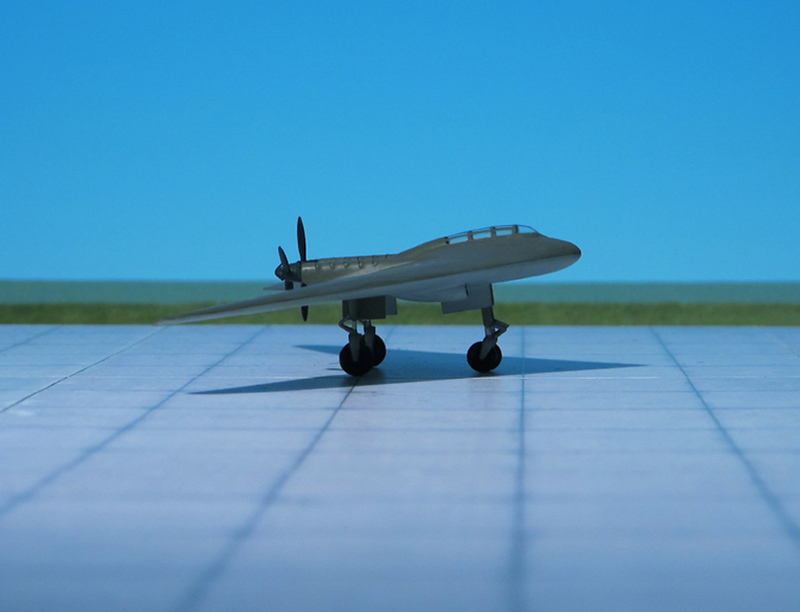 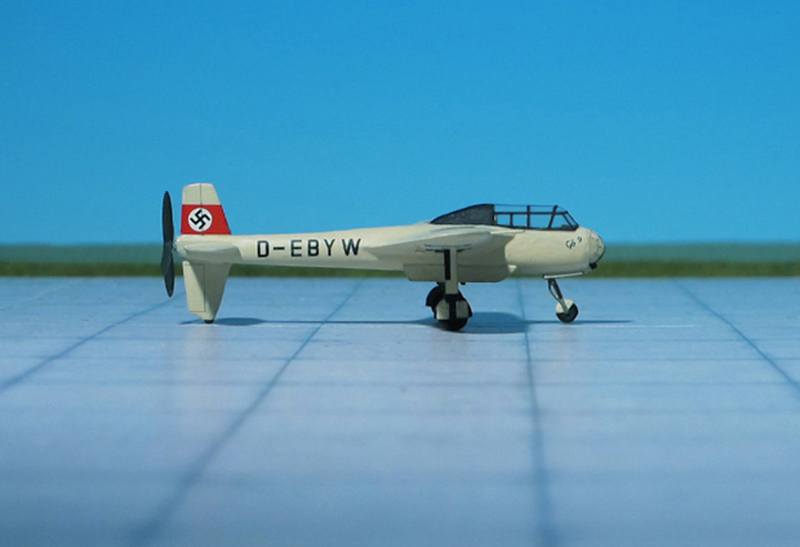 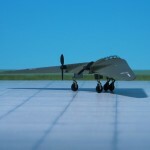 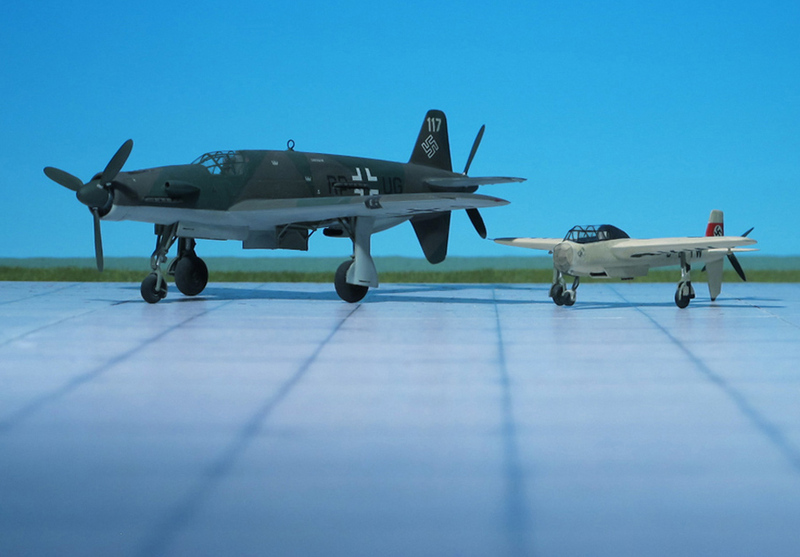 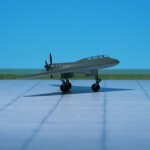 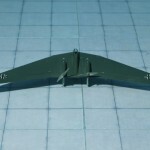 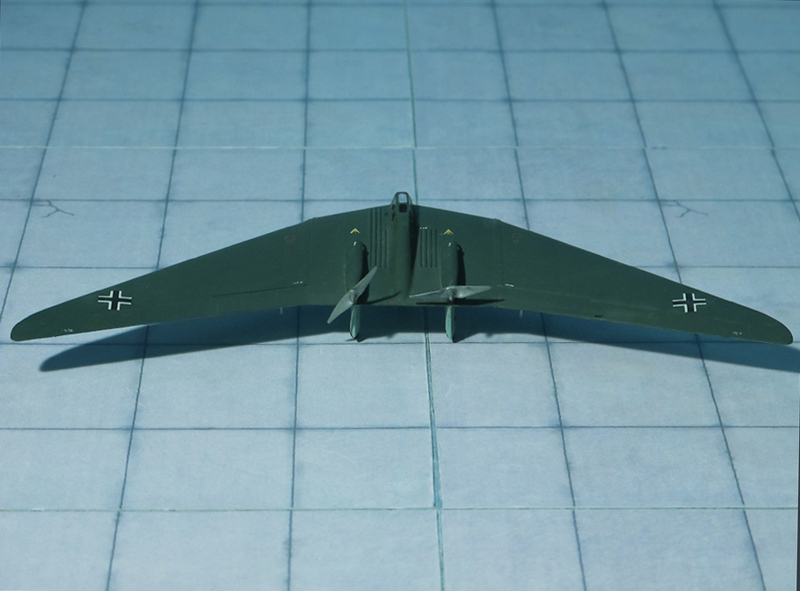 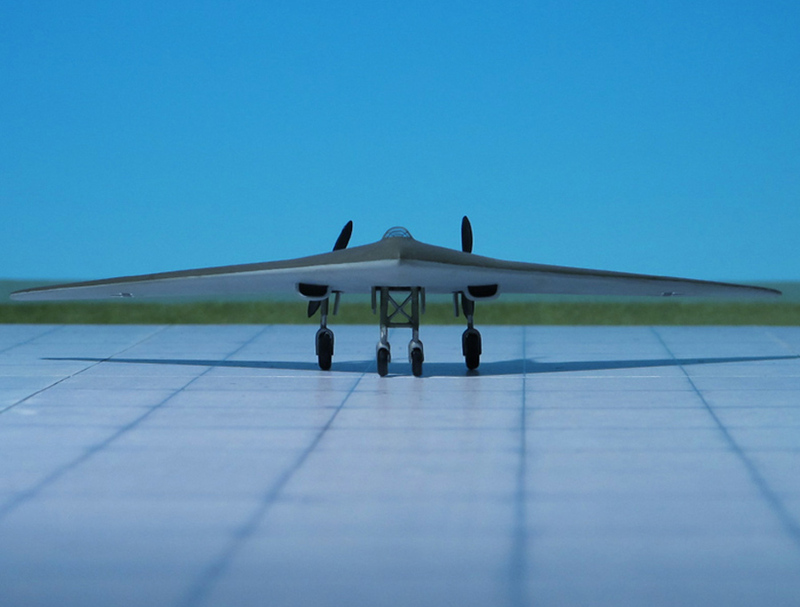 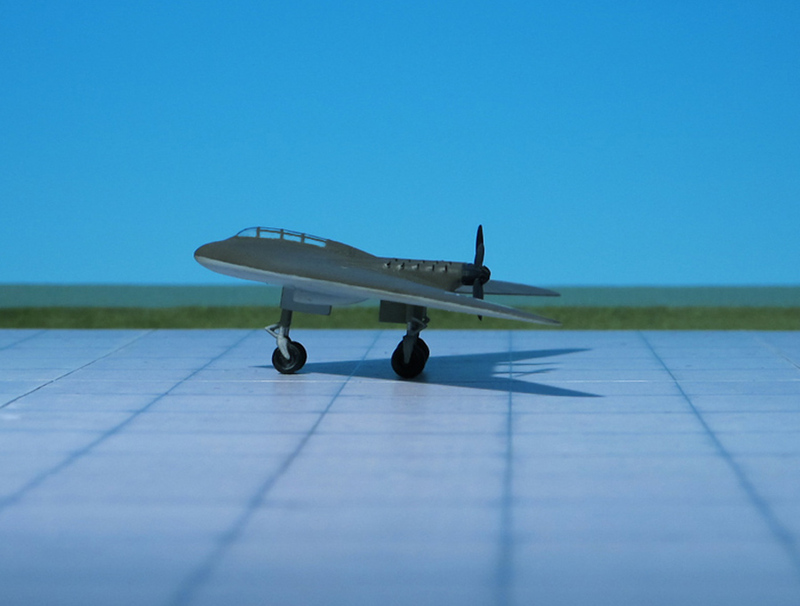 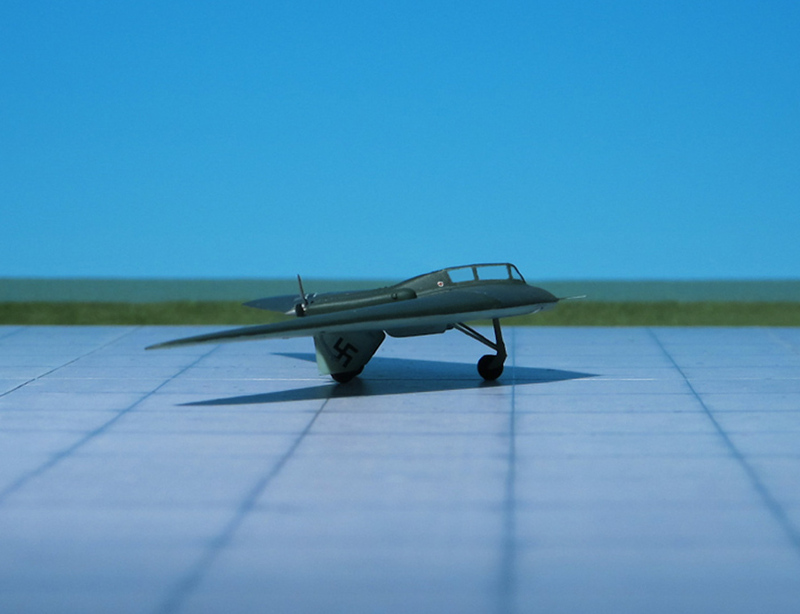 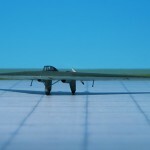 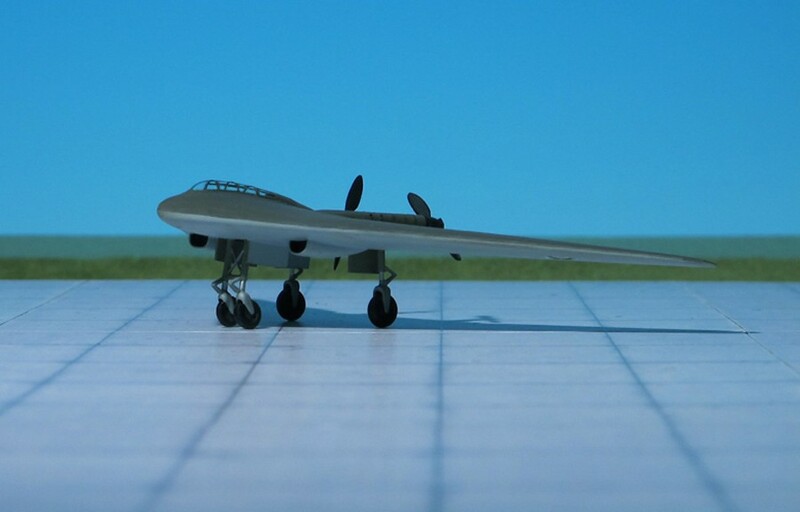 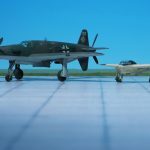 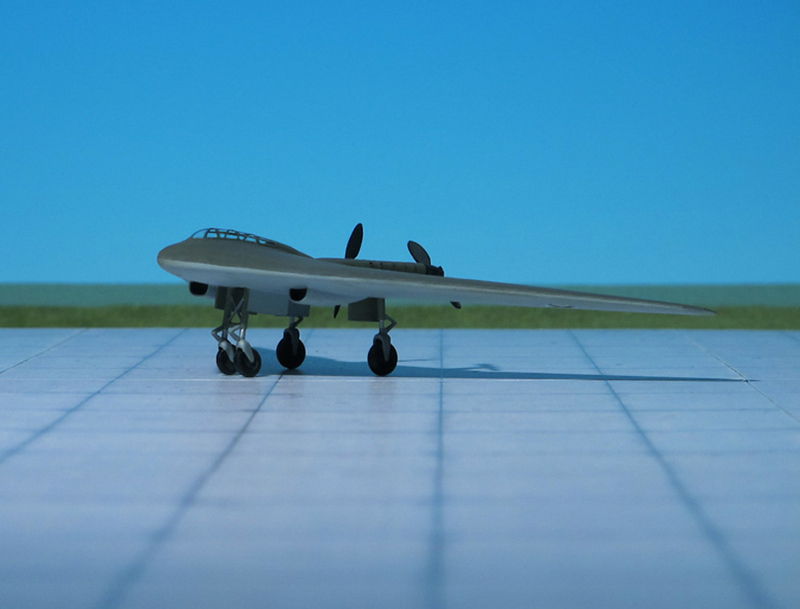 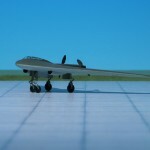 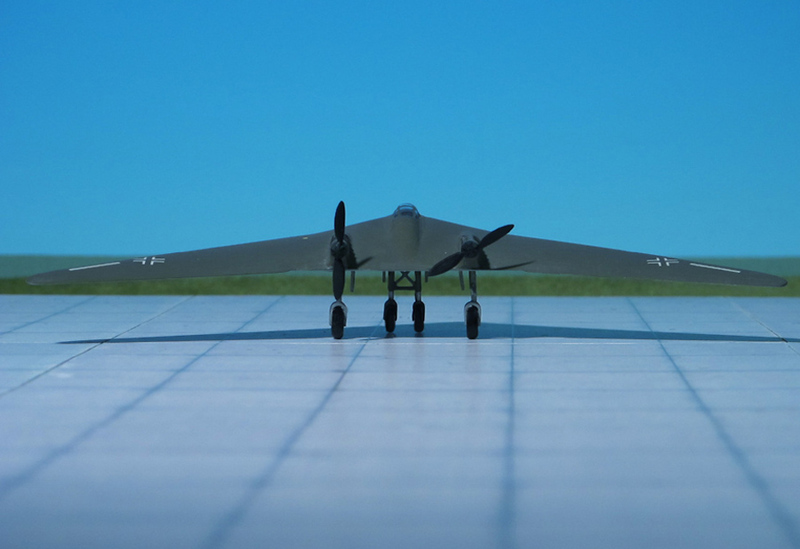 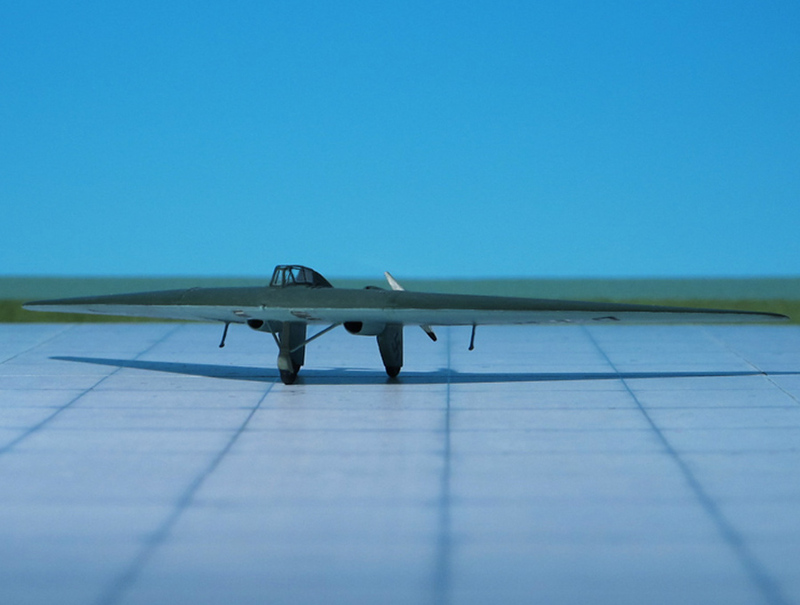 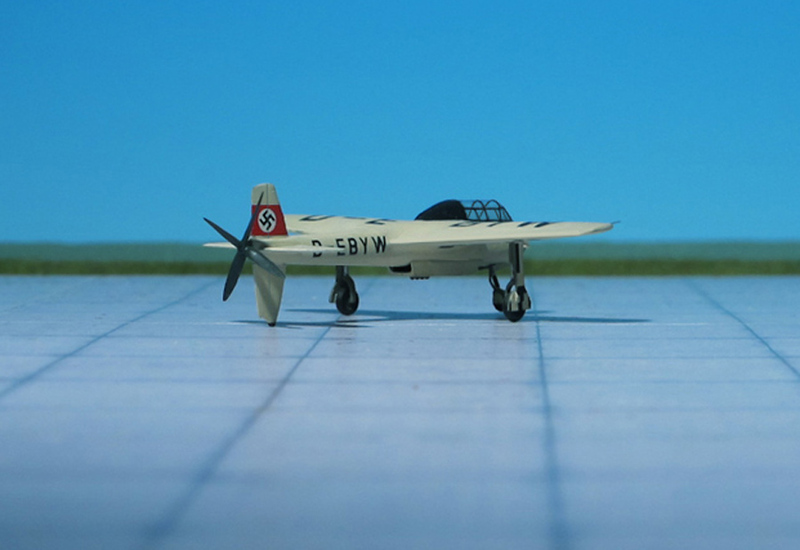 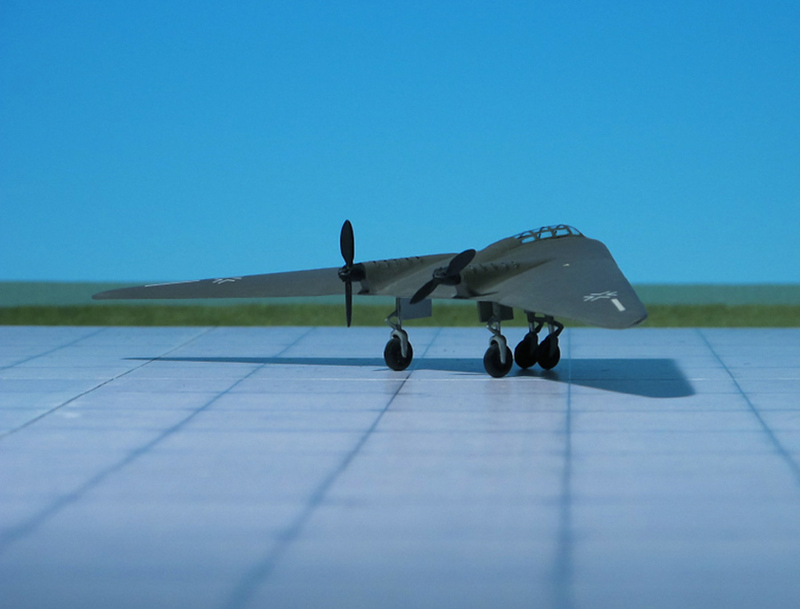 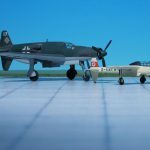 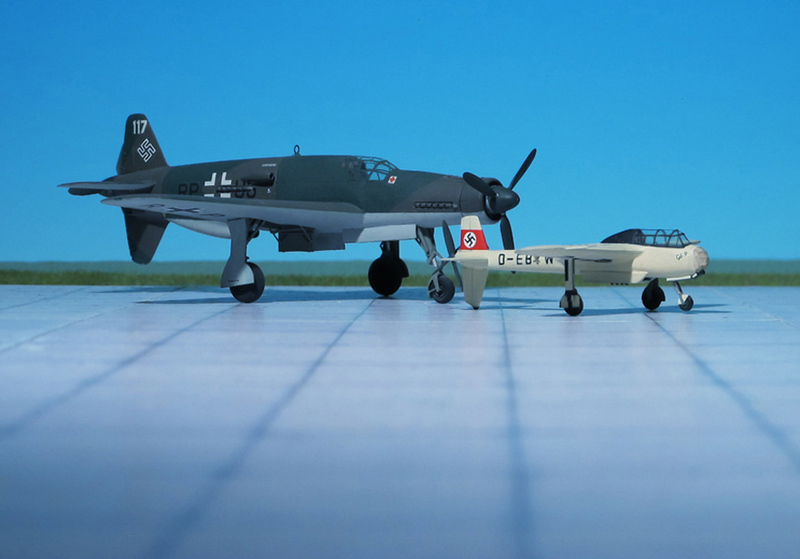 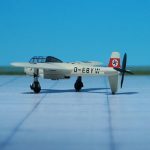 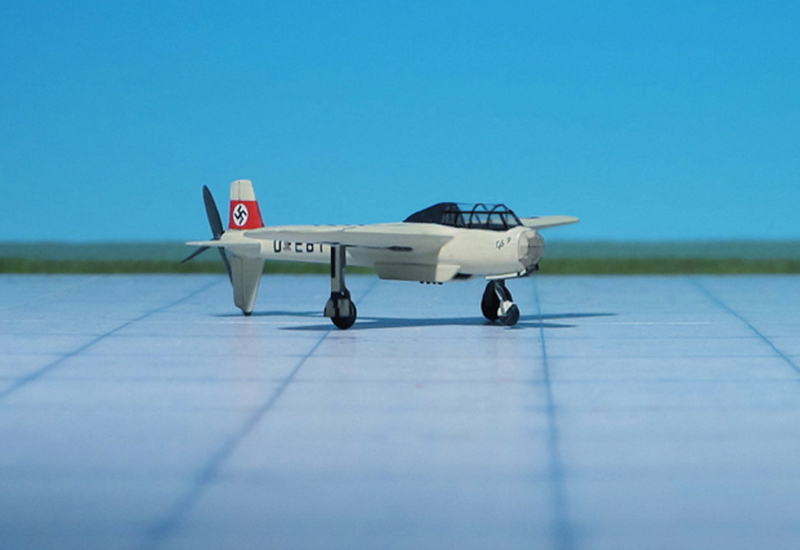 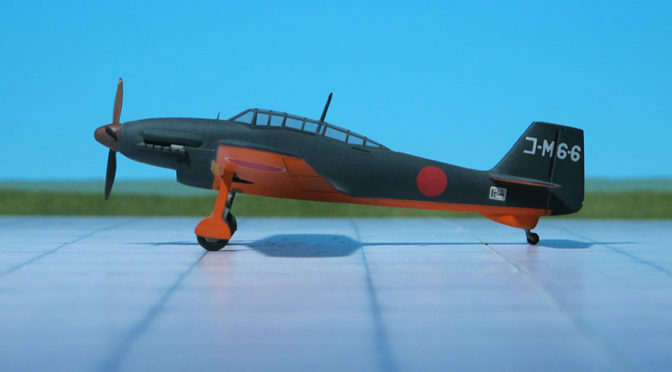 COMMENT: To support the development of flying wing aircraft the Luftwaffe founded a special “Luftwaffen-Sonderkommando 9” (Air Force Special Command 9). 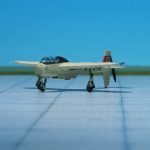 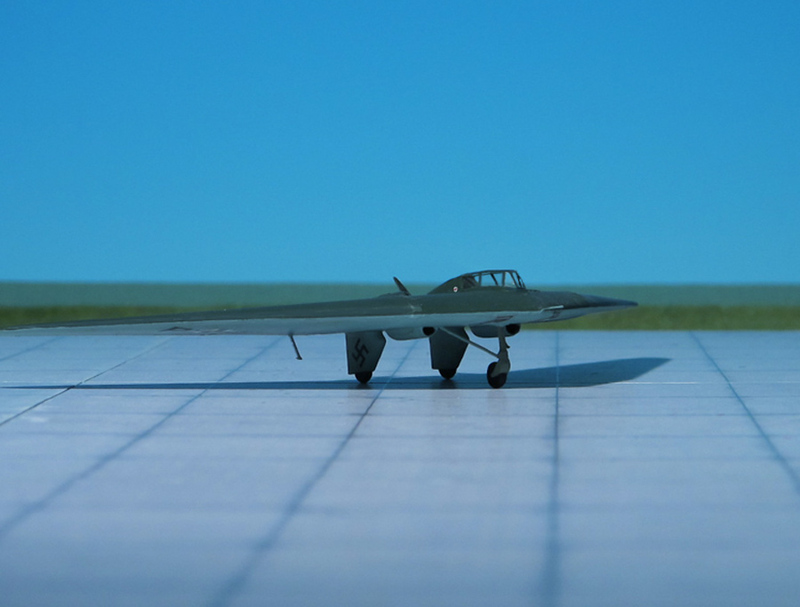 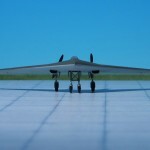 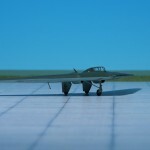 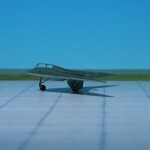 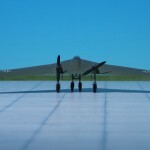 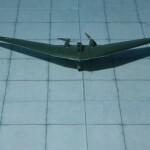 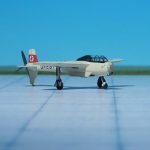 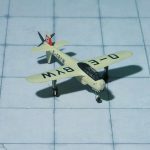 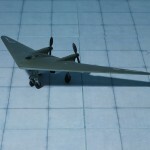 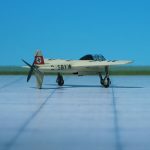 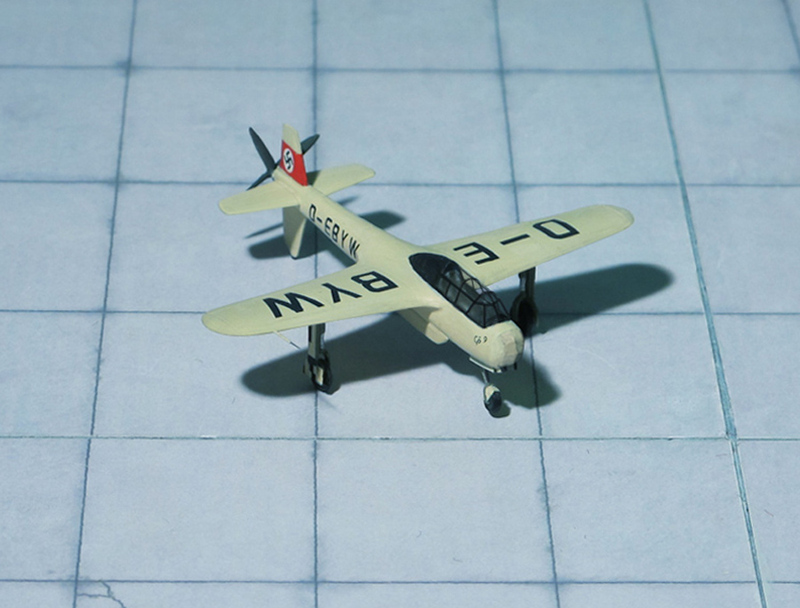 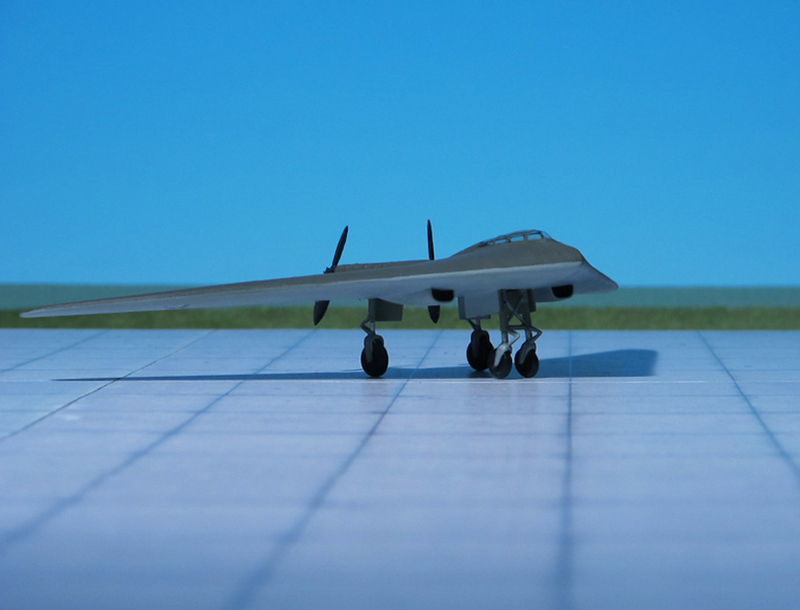 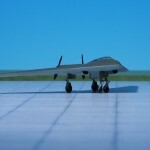 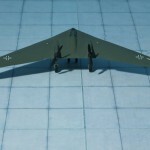 This command ordered several two-seater flying wing trainers for pilots who should fly the on-coming Horten/Gotha Go 229 twin-engine flying wing turbojet fighter. 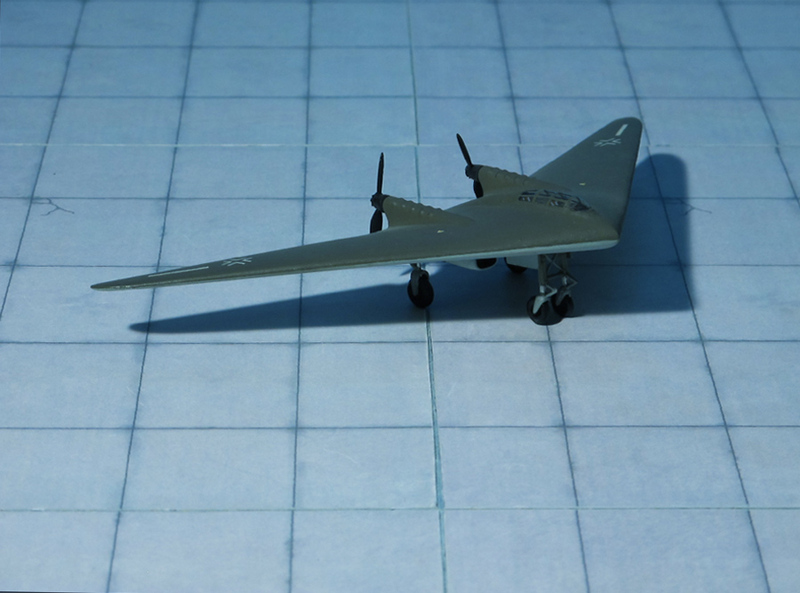 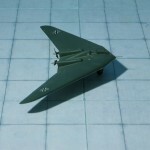 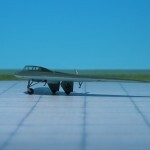 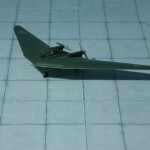 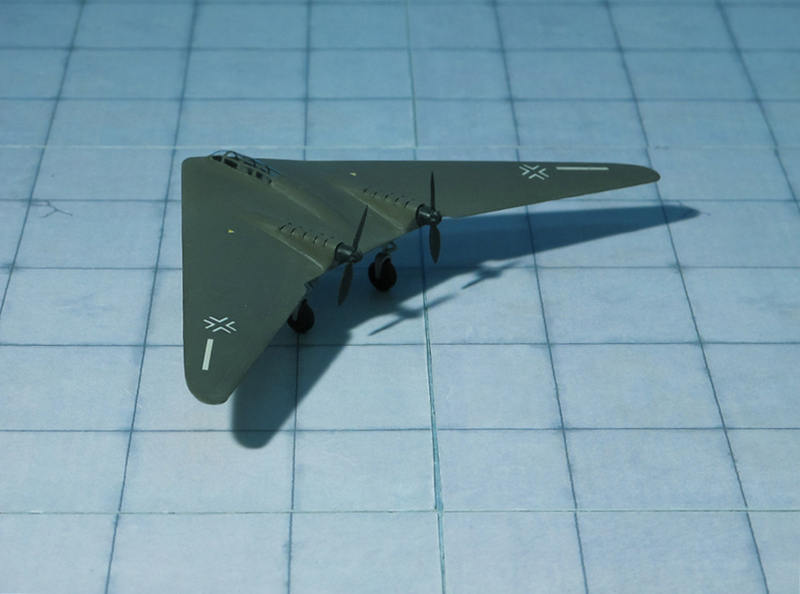 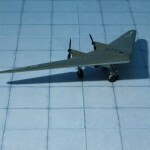 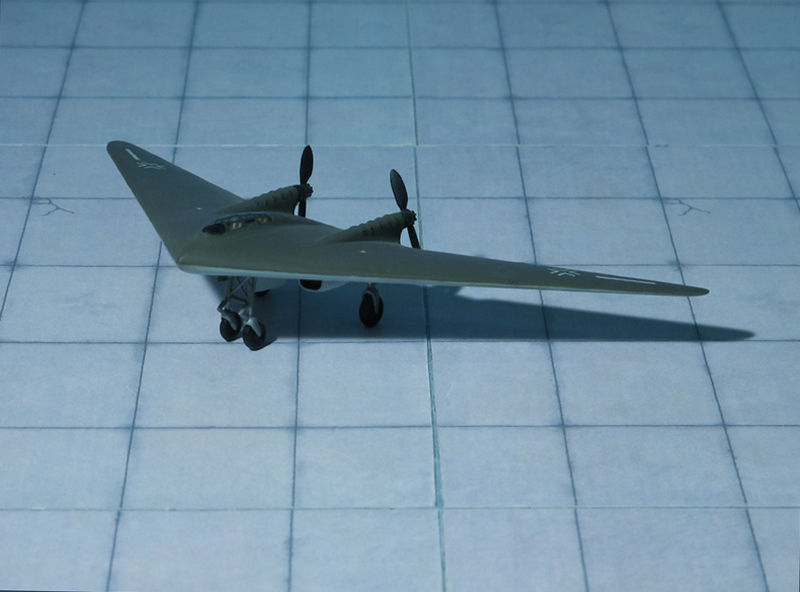 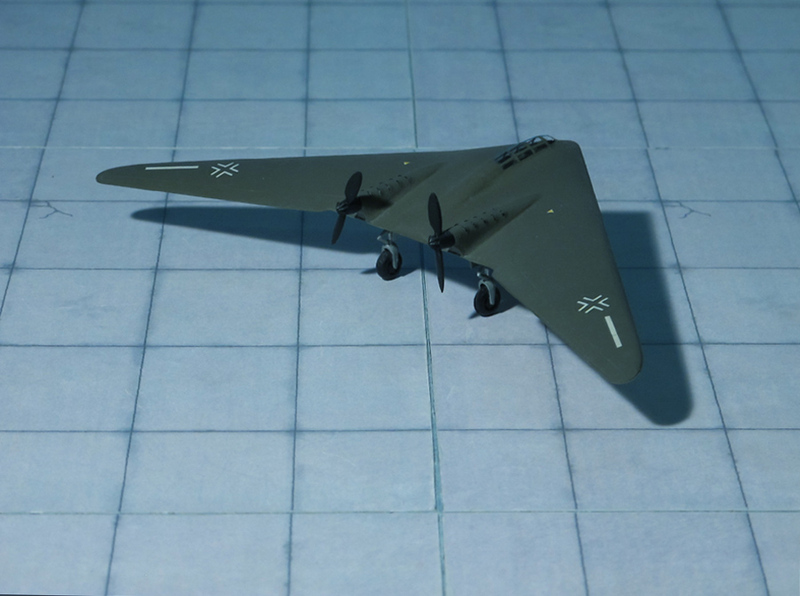 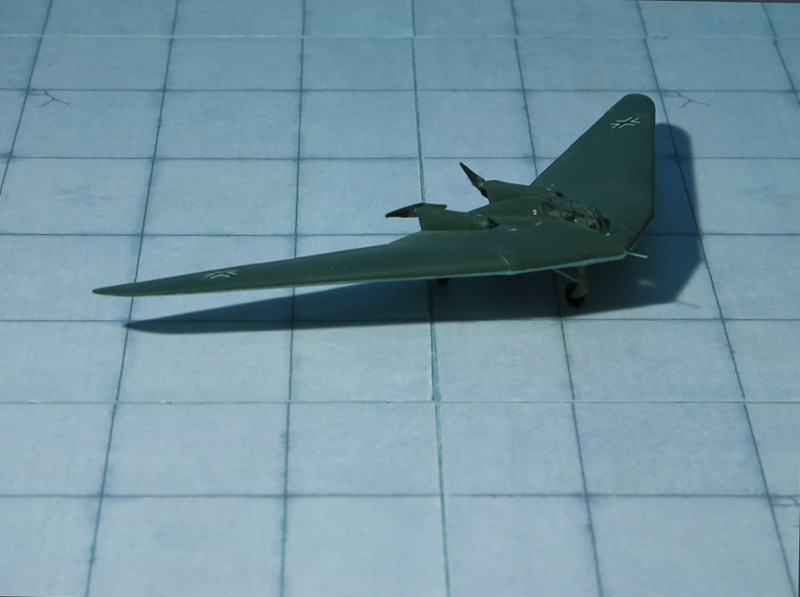 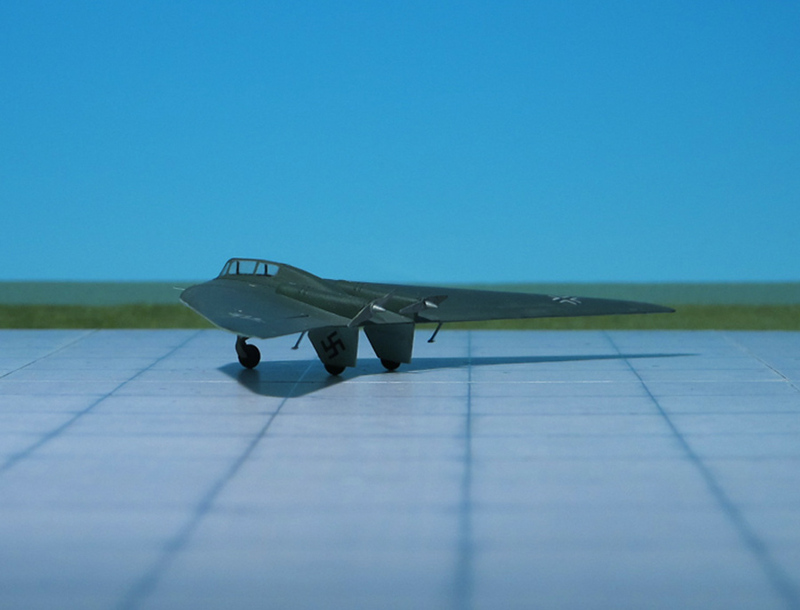 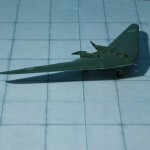 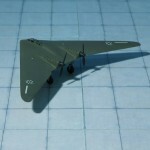 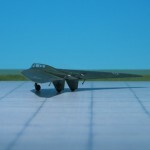 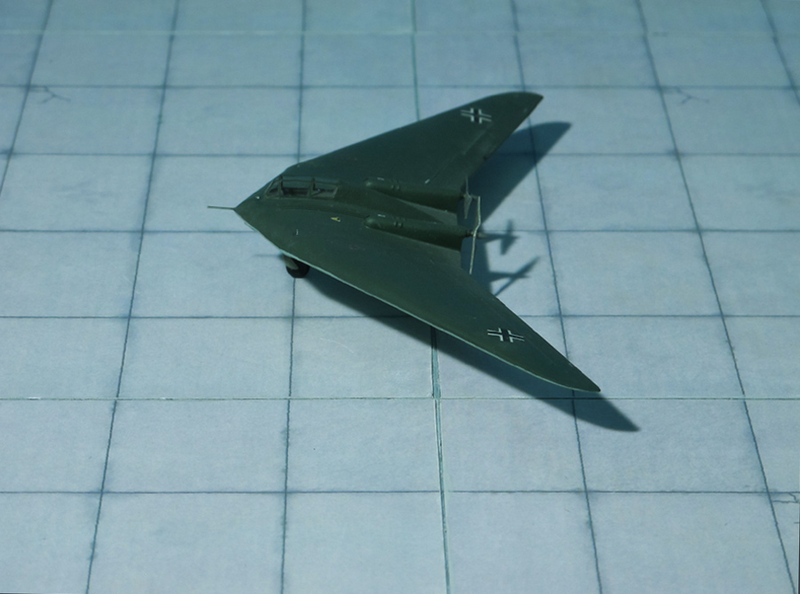 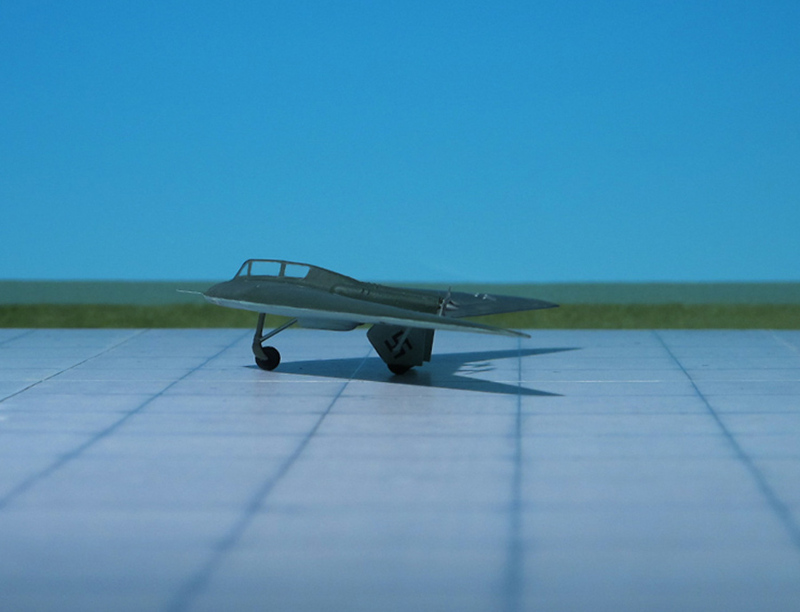 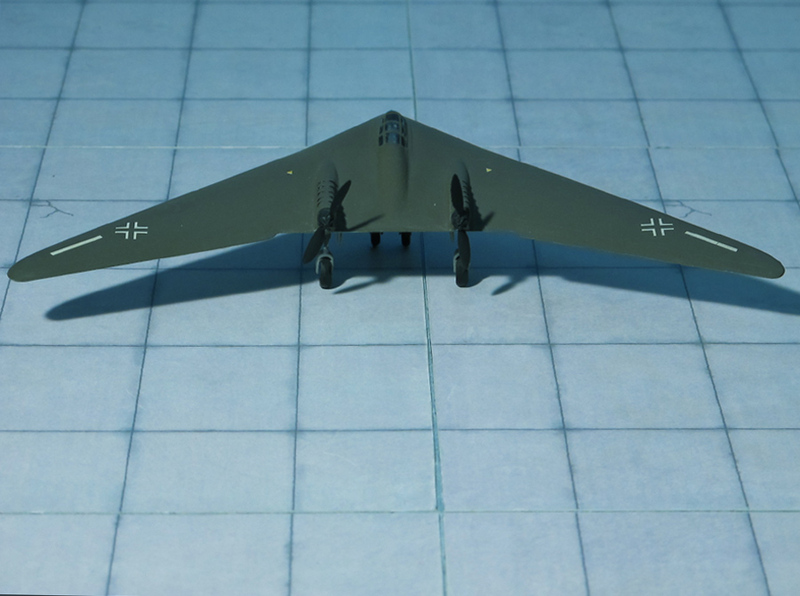 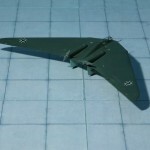 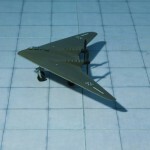 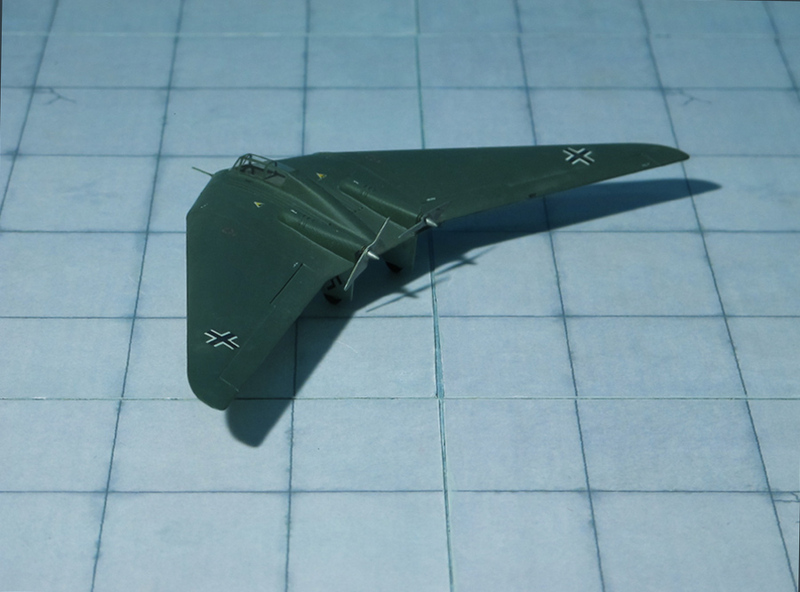 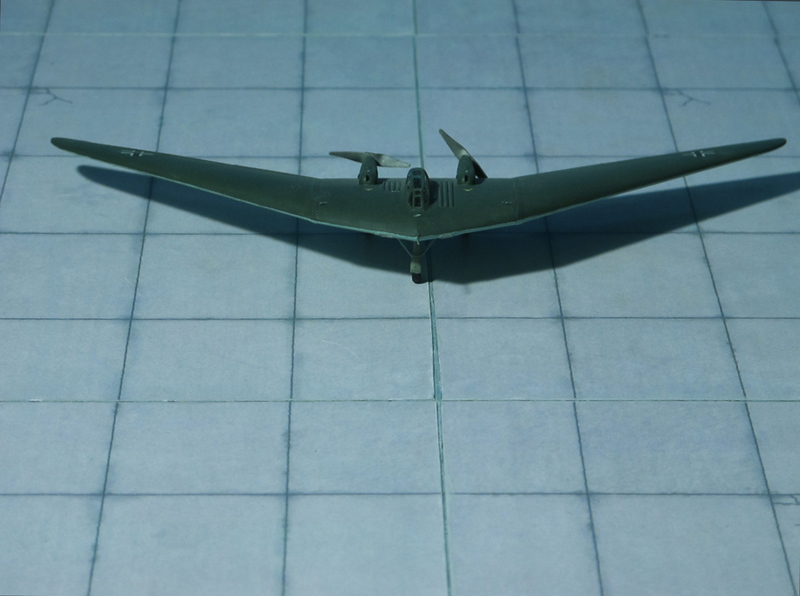 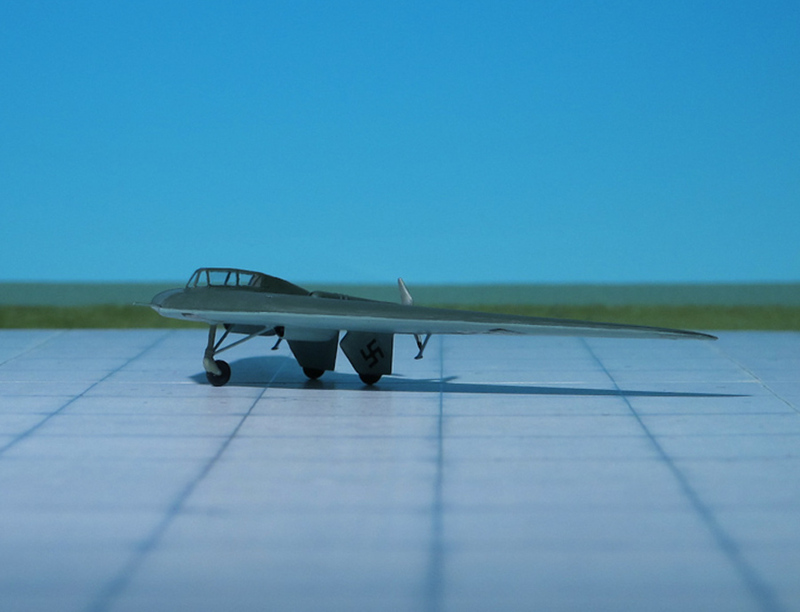 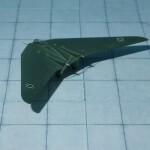 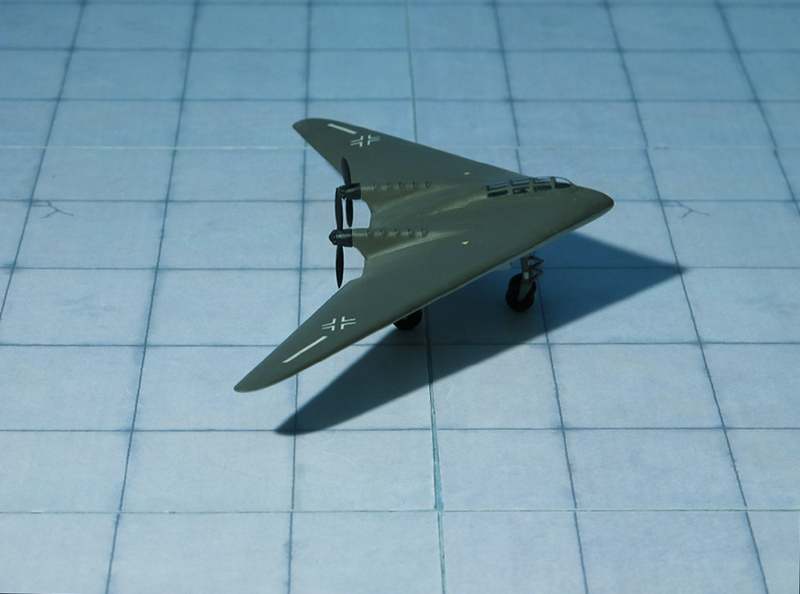 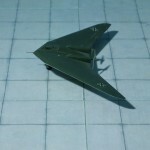 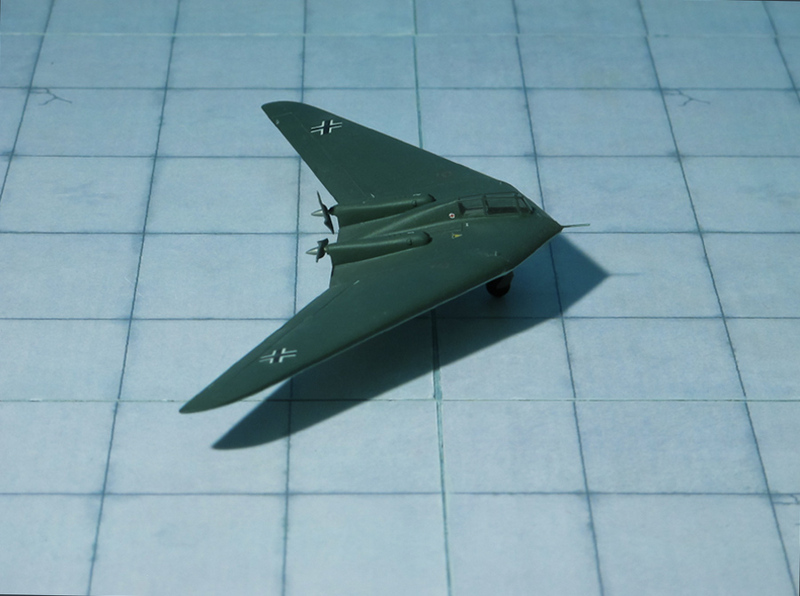 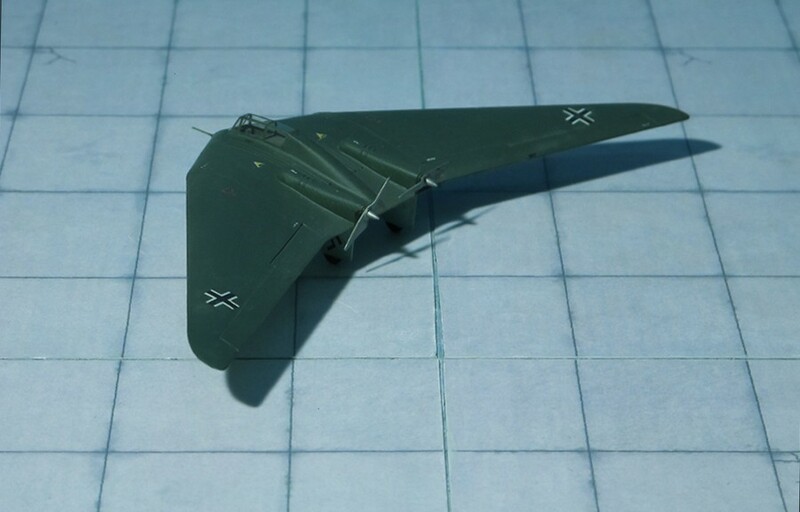 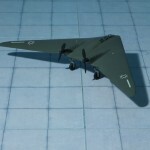 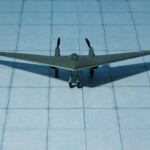 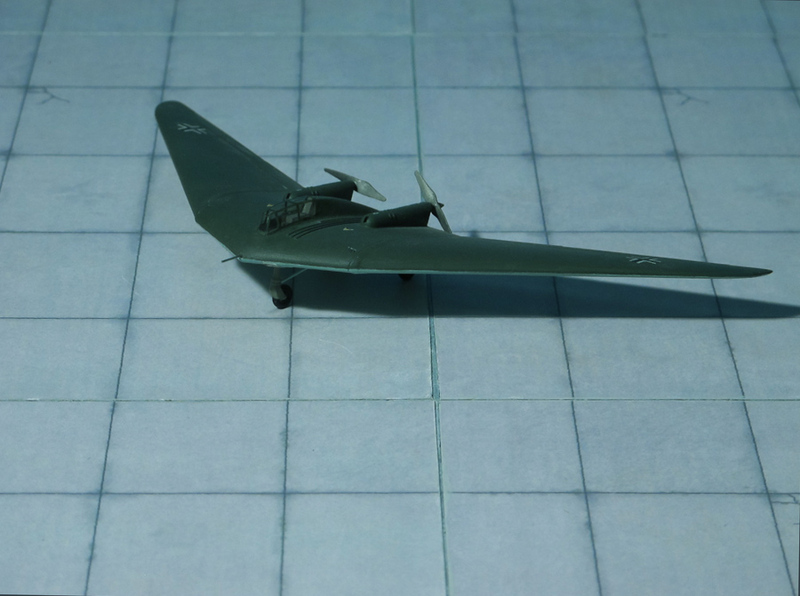 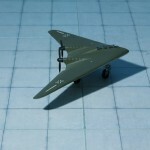 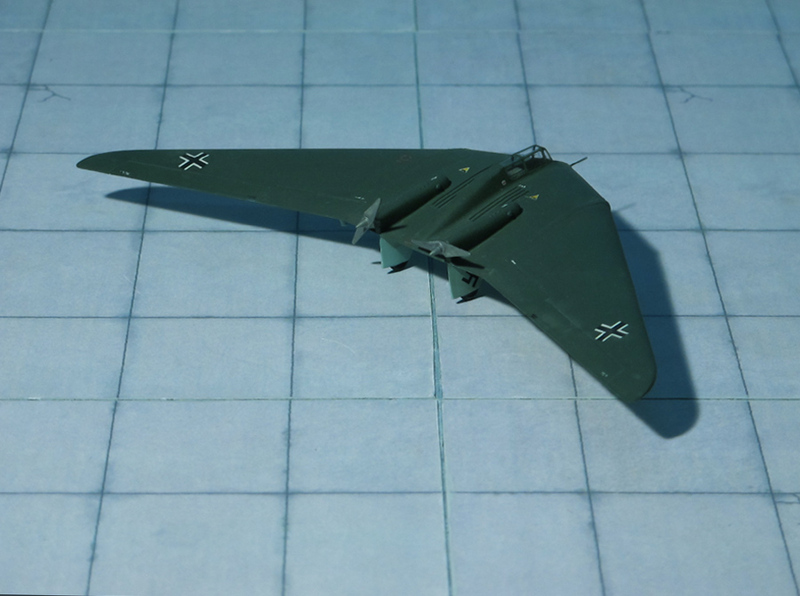 In 1943, based on the Horten V the Horten Brothers developed the Horten Ho VII, a flying wing with an enlarged center section to hold a longer canopy for a crew of 2, and greater fuel tanks. 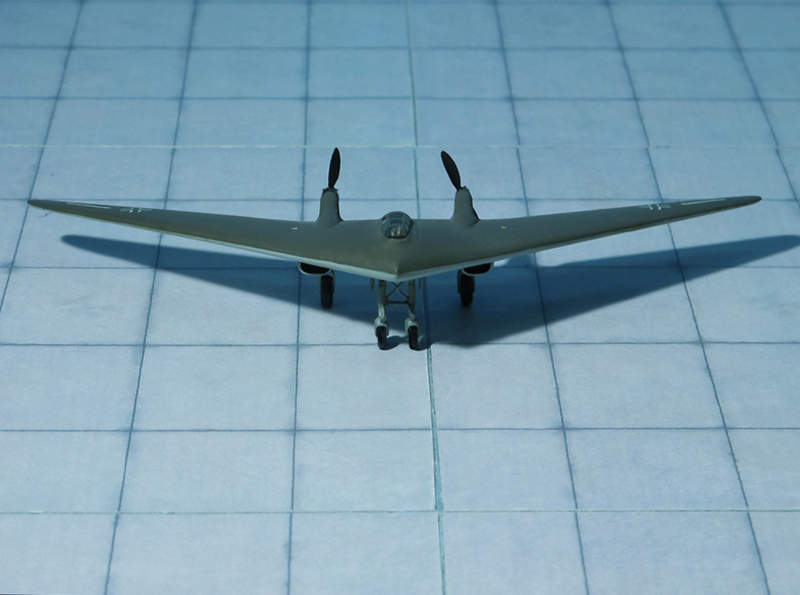 The wing sections remained nearly unchanged. 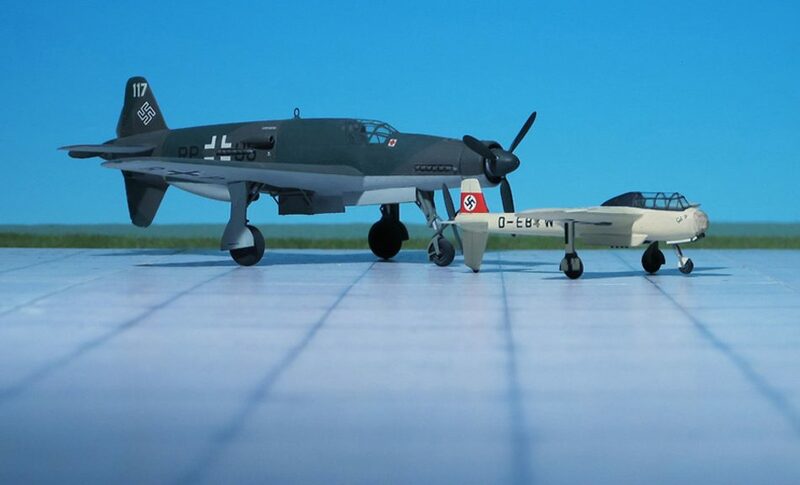 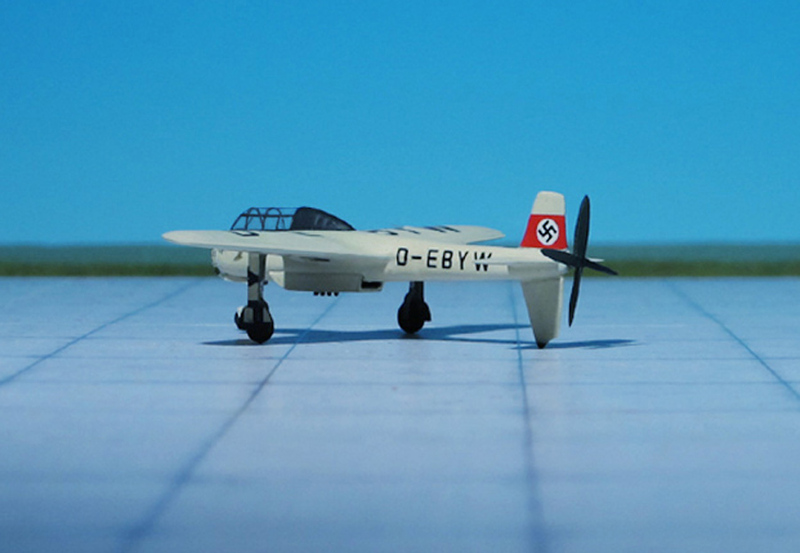 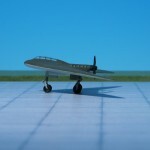 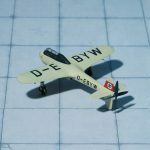 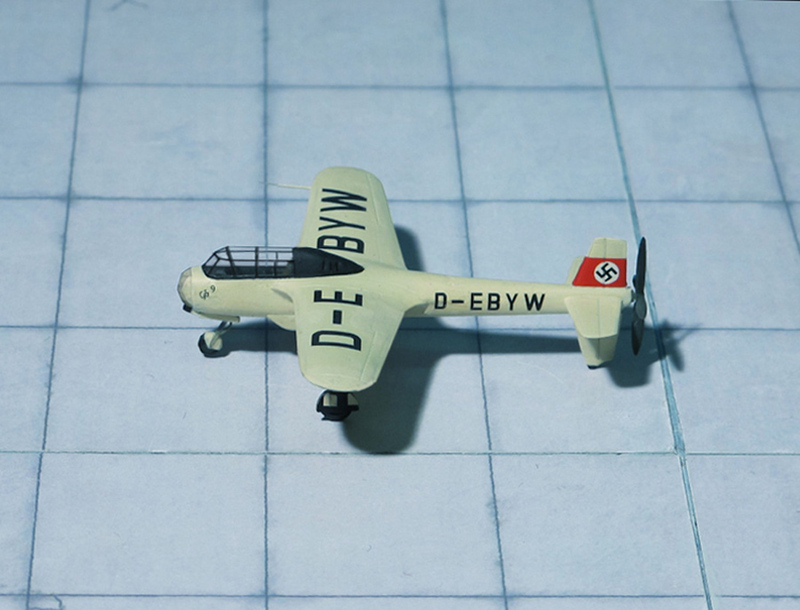 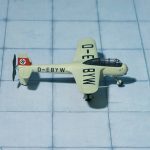 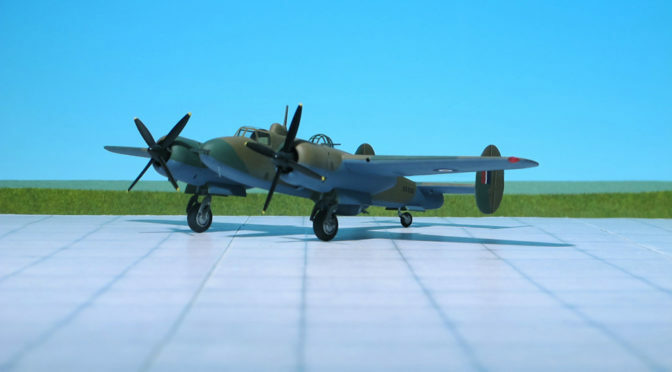 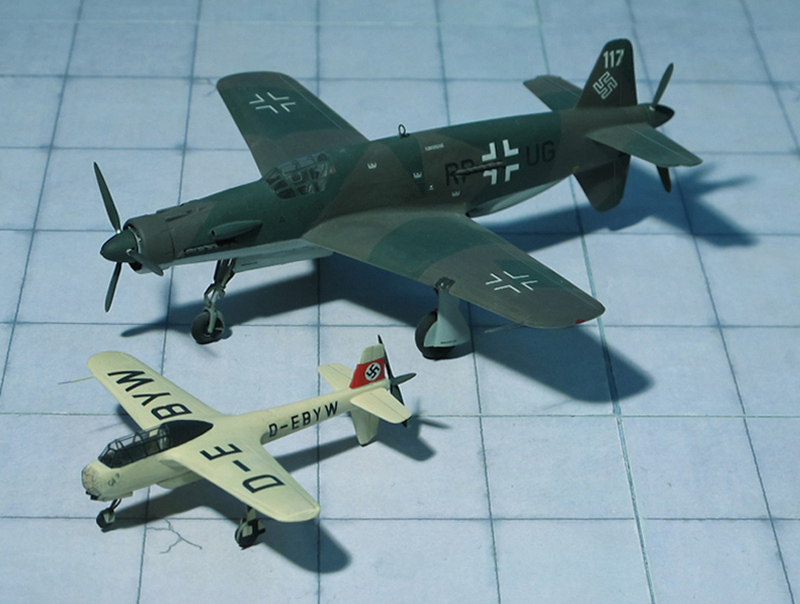 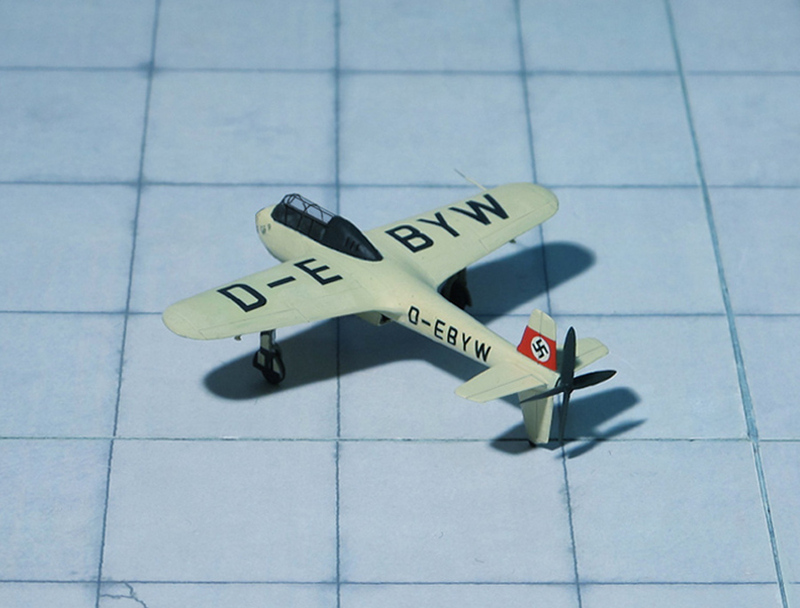 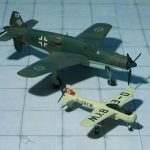 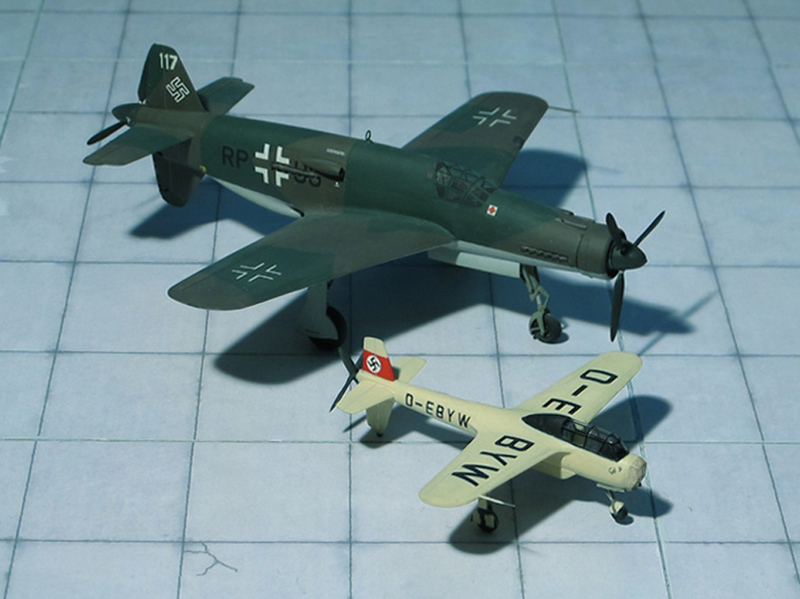 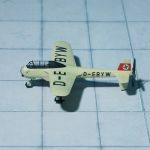 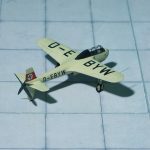 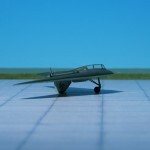 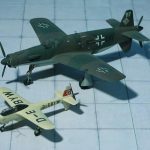 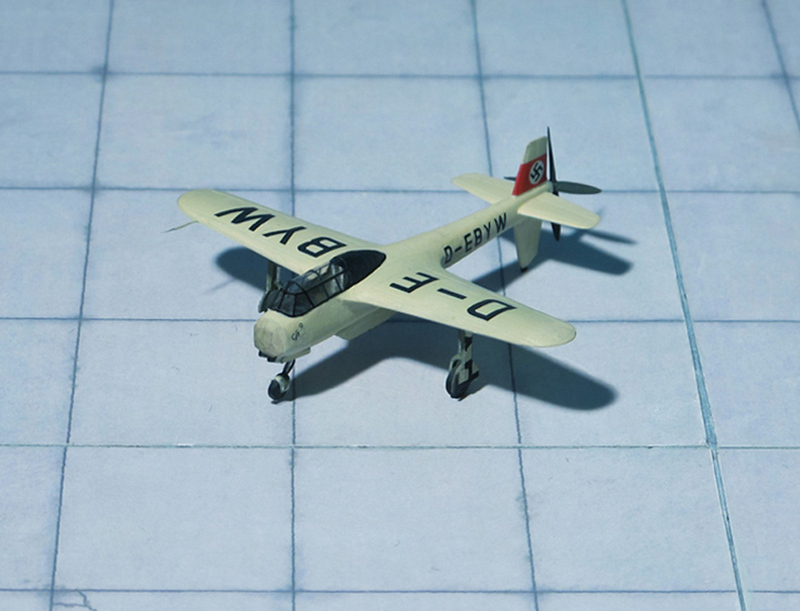 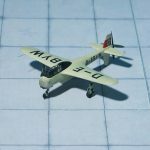 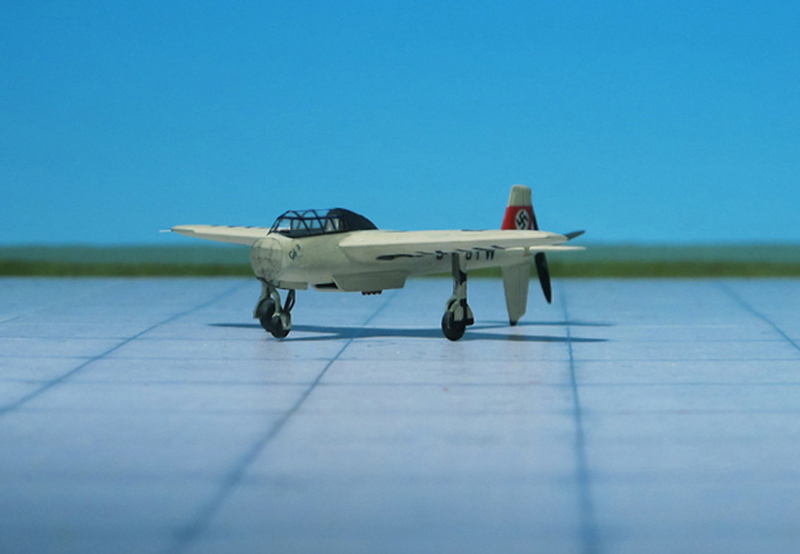 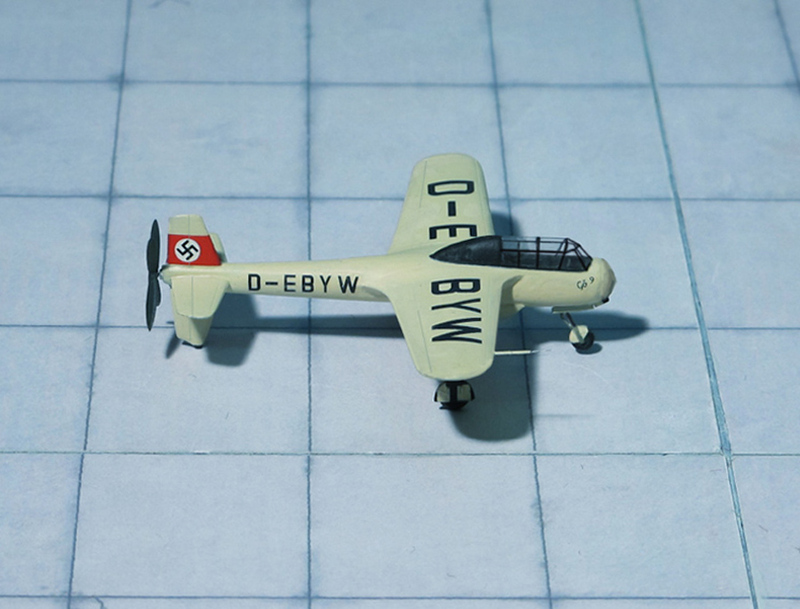 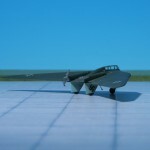 Two aircraft were built by Peschke Company at Minden and flight tested at Minderheide airfield, the Ho VII V-1 with fixed undercarriage, the Ho VII V-2 with retracting undercarriage, the front wheel backwards and the main wheels forwards into the fuselage. 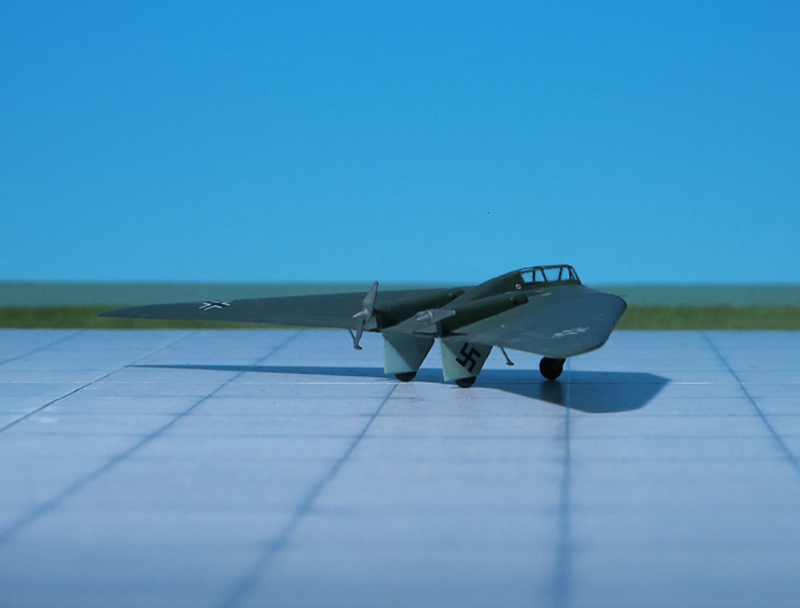 Further tests were performed by Skoda-Kauba-Flugzeugwerke at Ruzyn airfield close to Prague (occupied by Germany at that time). 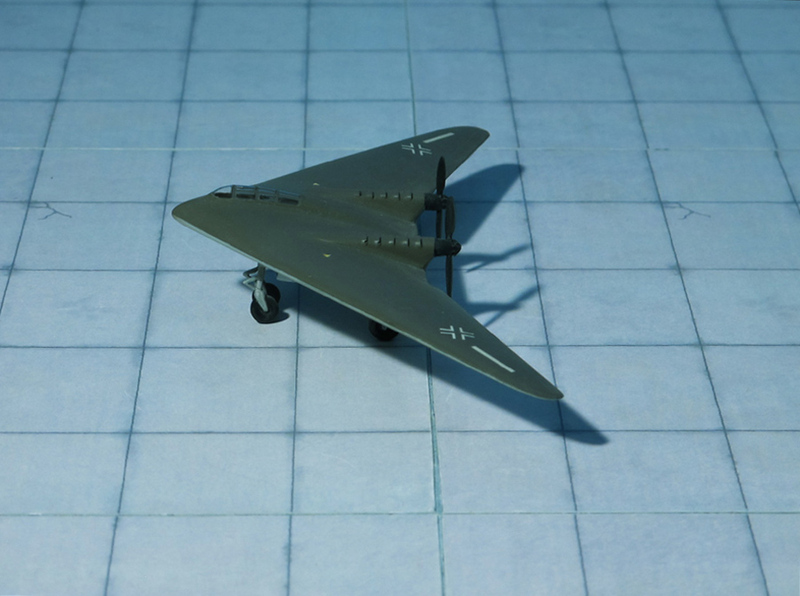 In 1945 an order calling for 20 Ho VII trainers was placed as trainer for the Horten/Gotha Go 229 flying wing turbojet fighter. 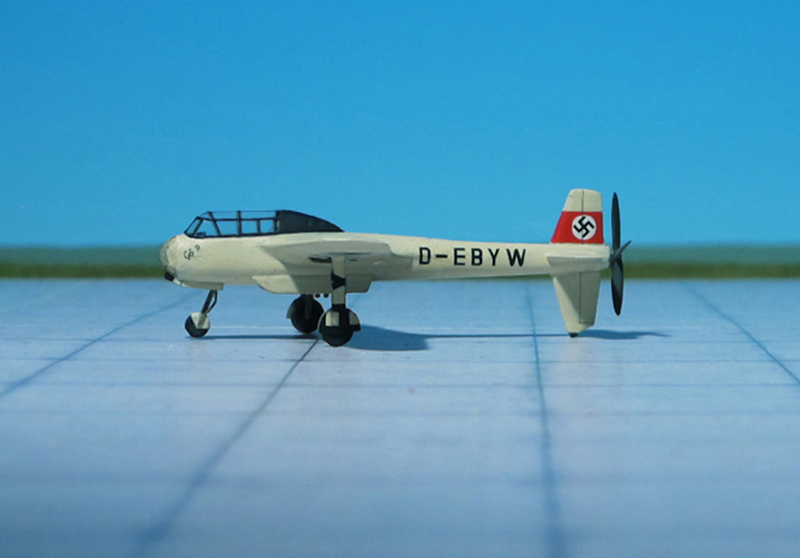 With the end of WW II all work was cancelled (Ref. 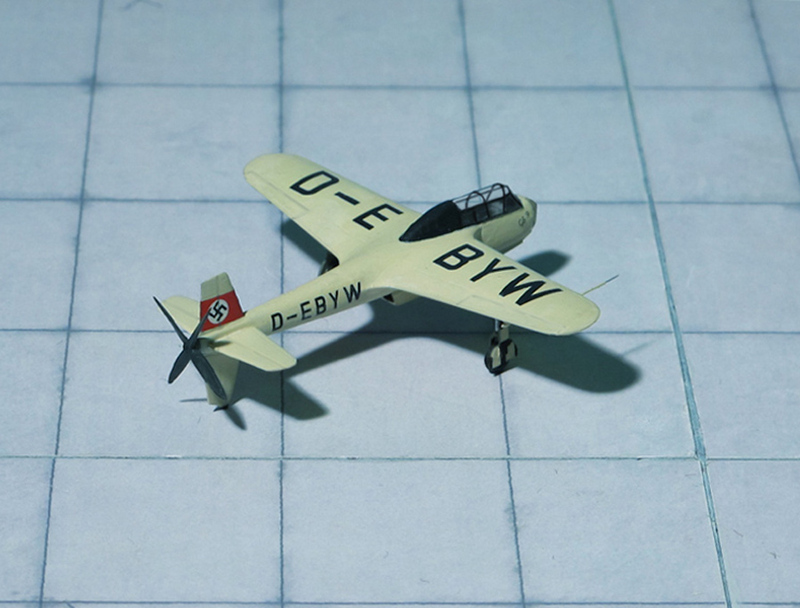 : 19).